These absolutely delicious Lemon Pull-Apart Sweet Rolls bake up easily in muffin tins for individual servings. Meyer lemons used to be hard to find in this part of the world, but not any more. They’re popping up in all the stores and I can’t get enough of them. Meyer lemons (a cross between a lemon and a mandarin orange) are a natural for these sweet rolls, that are a riff on the popular pull-apart bread. Made into individual portions, these rolls offer all the fun and flavours of the pull-apart loaf in a portable, personal form. But don’t worry if you can’t find Meyer lemons. 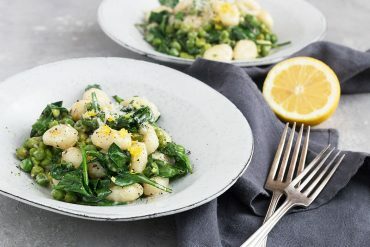 You can use a combination of regular lemon zest and a bit of orange zest for the same flavours. The glaze is a must, I think. 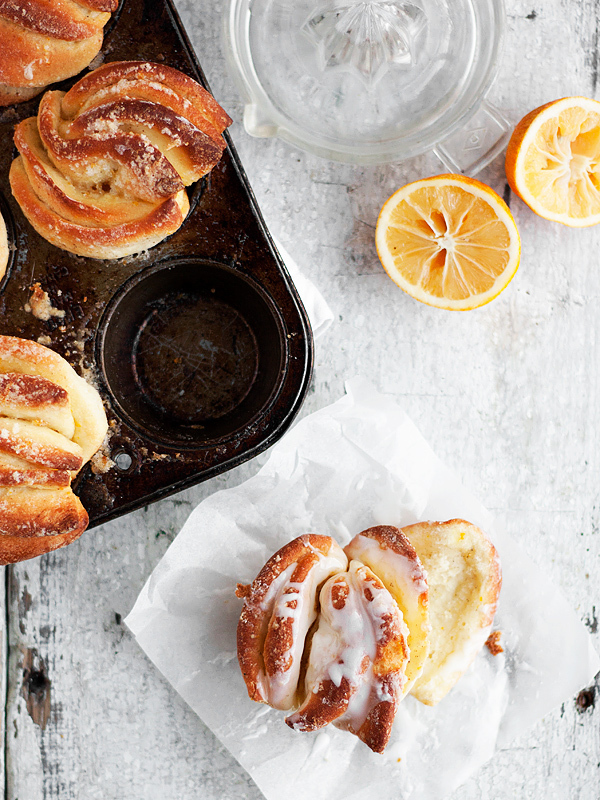 It’s sweet and lemony and is a perfect complement for the sweet rolls. I love to eat these warm. I just microwave them for 15 seconds before putting the glaze on just before serving. These lemon rolls also freeze well. I’ve tried to be as clear as possible with the shaping directions. It’s not complicated, it’s just not quite as easy to put it into words as I’d hoped. Don’t stress it though. The beauty of these rolls is in their imperfection. A word of warning. This dough is almost batter-like when it’s first mixed. When I scraped it out onto the counter, I was sure it wasn’t anywhere near knead-able. But a dusting of flour was all it took and it came together into a wonderful soft, moist dough ball. Also, be patient with the rising, especially this time of year. The day I baked these it was a day that started out at -38° C. (that’s pretty much the same temp on the °F. scale). It took forever for my rolls to rise, so just use the times as a guideline and concentrate more on the increase in size. 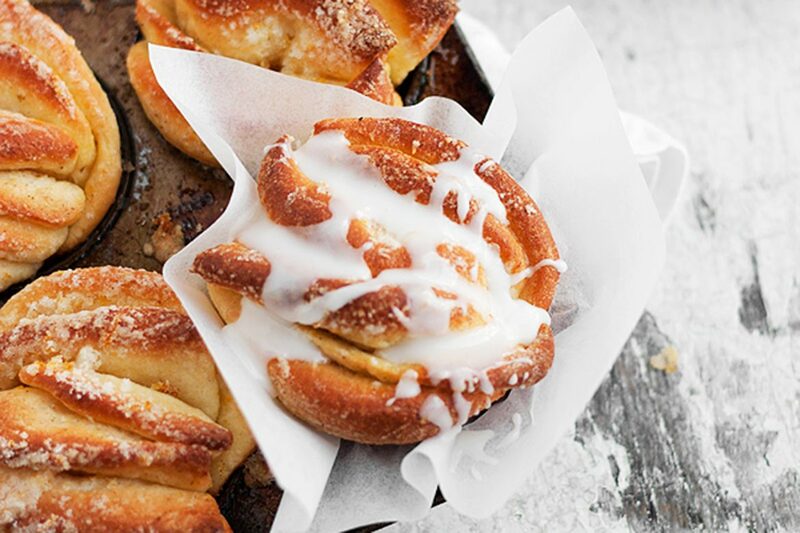 These sweet rolls are light as a feather and full of lemon flavour. The lemon glaze adds a lovely touch of sweetness. Don't fuss too much about shaping. They'll be pretty and tasty, no matter what. These buns freeze well. Make the sweet dough: Stir together 2 cups (9 oz.) of the flour, sugar, yeast, and salt in a large bowl or the bowl of a stand mixer fitted with a paddle attachment. In a small saucepan, heat the milk and butter over low heat just until the butter is melted. Remove from the heat, add the water, and set aside until cooled to just warm (120 to 130°F), about 1 minute. Add the vanilla extract. 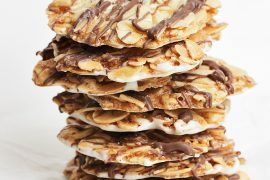 Pour the milk mixture over the flour-yeast mixture and, using a rubber spatula or the paddle attachment, mix until the dry ingredients are evenly moistened. With the mixer on low speed, add the eggs, one at a time, mixing just until incorporated after each addition. Stop the mixer, add the remaining 1/2 cup (2 1/4 oz.) flour. Resume mixing on low speed until the dough is smooth, 30 to 45 seconds. Add 2 more tablespoons flour and mix on medium speed until the dough is smooth, soft, and slightly sticky, about 45 seconds. Note that the dough at this point will be very loose. Don't fret. It will come together. Sprinkle a work surface with flour and turn the dough onto the flour (a silicone bowl scraper comes in handy here). Knead gently until the dough is smooth and no longer sticky, about 1 minute, adding an additional 1 to 2 tablespoons flour only if the dough is unworkably sticky. Place the dough in a large, greased bowl, cover tightly with plastic wrap and let rise in a warm place until doubled in size, about 45 to 60 minutes. Make the lemon filling: Meanwhile, while the dough is rising, in a small bowl, mix together the sugar and lemon zest. Set aside. The sugar draws out moisture from the zests to create a wet sand consistency, so don’t be alarmed when you see this. Assemble the sweet rolls: Preheat the oven to 350°F (175°C) with the rack in the centre of the oven. Spray a 12 cup muffin tin with cooking spray. Gently deflate the dough, on a lightly floured work surface. Cut the dough in half, setting aside one half and covering with plastic wrap. Using a sharp knife or a bench scraper, cut the portion of dough into thin (3/4-inch) pieces. You should have 15-18 pieces. Using a rolling pin (and extra flour as necessary to prevent sticking), roll each piece of dough into a thin, oblong oval shape (they will be approximately 6 inches long and 3-4 inches wide). Don't worry about making each one exactly the same size and shape. It's fine if they are a mix of shapes and sizes. Using a pastry brush, spread the melted butter generously over each piece of dough. Using no more than half the sugar/zest mixture, sprinkle some of the zest-sugar mixture over all the buttered ovals. To form the rolls, take one piece of dough and lay it long side towards you. Place 4 more pieces directly on top (or 5, if you have 18 pieces to start with). Cut the dough stack in half width-wise, making two stacks roughly 3 inches by 3 inches. Gently pinch together the edges that were closest to you a little bit towards the centre- not all the way, causing the top layers to open up a bit. This will be the bottom of your roll. Place into a greased muffin cup. 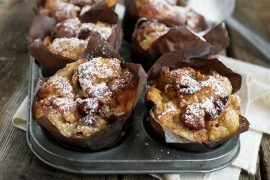 Once in the muffin cup, you can adjust the shaping a bit, pulling the layers apart slightly on the top.Repeat this shaping with the remaining prepared pieces and then repeat all these steps with the remaining reserved half of the dough. Sprinkle the tops of the rolls with any extra sugar/zest mixture. Cover the pan with plastic wrap and let the dough rise in a warm place until puffy and almost doubled in size, 30 to 60 minutes. Bake the rolls until the top is golden brown and they sound hollow when tapped, 18 to 22 minutes. Transfer muffin tins to a wire rack and let cool in the pan for at least 15 minutes. Serve warm or at room temperature, topped with lemon glaze. To re-warm simply pop in the microwave for 15 seconds or pop back into the muffin tins and re-heat in a 350° oven loosely covered with foil for 5 minutes or so. These freeze well. 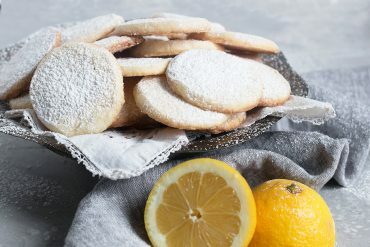 Make the lemon glaze: In a medium bowl combine the icing sugar with the milk and lemon juice until the mixture is smooth and desired thickness (you can add more liquid or sugar, as needed). *For active dry yeast: Cool the milk to 100-110° F. then proof yeast in milk mixture for 5 minutes before adding to flour mixture. Could you please explain the forming of the buns once each stack is cut in half. I am having trouble visualising / understanding…Gently pinch together the edges that were closest to you a little bit towards the centre- not all the way, causing the top layers to open up a bit. Looking for a recipe to use some Meyer lemons I found your post and made the rolls today. I reduced the yeast by 2 grams, and put the dough overnight in the fridge. The rolls were wonderful and I will definitely make them again. You can simplify the procedure a bit, though, by rolling the dough into one large square, instead of dividing it first and rolling out each little piece separately. Gracious, this is just gorgeous! And sounds so tasty… I love a lemony glaze on anything, but these buns sound perfect and comforting. I cannot BELIEVE your cold temperatures! Good grief how do you survive it?! 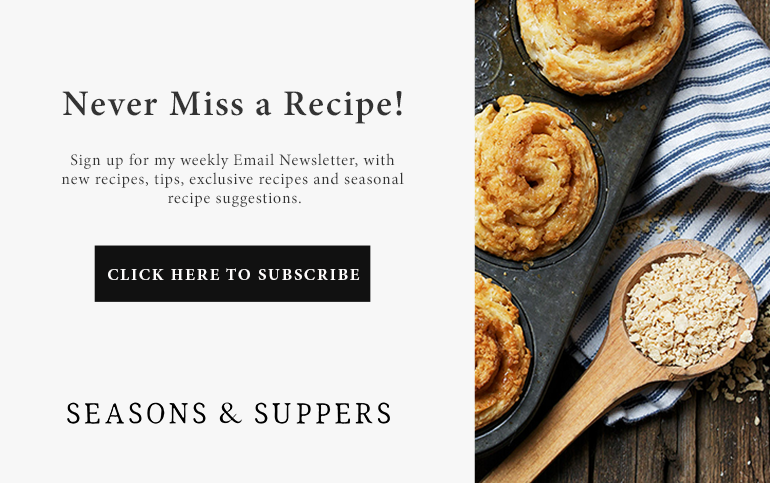 I feel like I’ve just commented on at least 5 different lemon recipes today–I was just in the kitchen whipping up lemon raspberry coconut pound cake myself :) it must be something in the air telling us it’s almost summertime. Thanks for sharing this, can’t wait to get my next lemon kick! beautiful! I’ve have a bunch of Cara Cara Oranges in my kitchen, waiting for a moment of inspiration – this recipe may just be it! Cara Cara oranges would be great in these, Katie. If you’re an ice cream maker, I have a Cara Cara ice cream in my archives, as well. 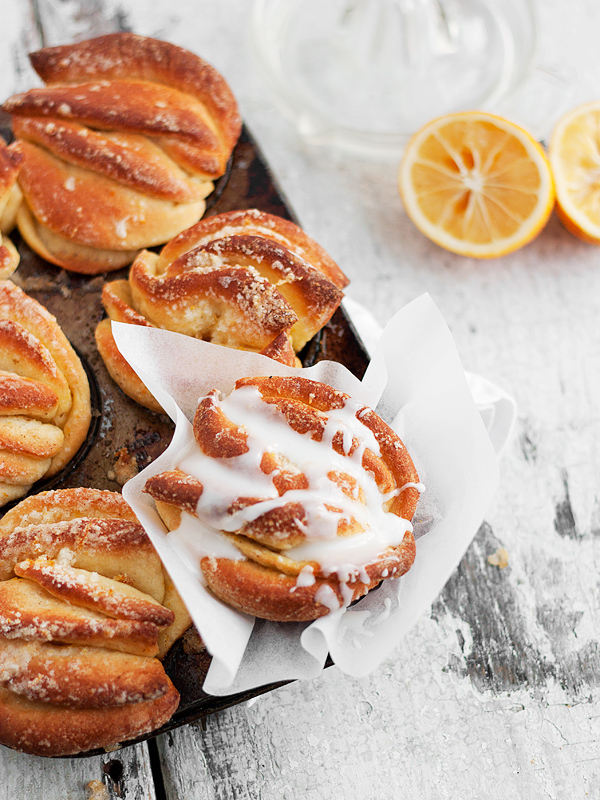 The Lemon Pull Apart Sweet Rolls have my undivided attention! The sweet and tart combination is a favorite of mine! Thanks Deb. It’s a favourite of mine, too! These are so pretty and I’m sure they taste fantastic. I love that you drizzled a glaze over the top. I can’t wait to try these. Thanks so much, Vicki. The glaze really takes these rolls from good to great. Hope you enjoy them! These are absolutely gorgeous! 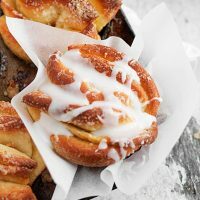 I’m not always drawn to citrus-flavored baked goods, but there’s something about the combination of a sweet roll and a lemony filling and glaze that makes me think these would be divine. :) Love the pull-apart technique as you used it here! Thanks Alexandra. The combination is wonderful. The lemon isn’t overpowering and of course, Meyer lemons are not as tart as regular. Thanks so much, Liren. I am smitten with pull-apart bread. There’s just something about pulling off little pieces that appeals to me. They weren’t available here until just recently, Laura, so maybe they’ll show up soon for you, too. Try the lemon/orange zest combo for the same effect. And thanks for the feature! -38°C?? Yikes! My first bread making effort was in 0°C temperature, and it was a disaster, though funny in hindsight. 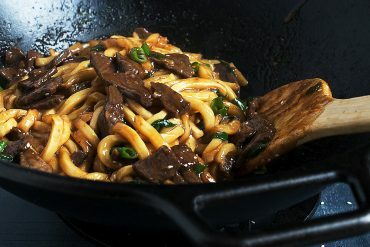 This recipe looks great, bookmarked! Thanks. Yes, that darned polar vortex thing is apparently stuck right over my house. A little warmer this morning. Only -9 °C. Thanks so much, Janice. Sweet bread and lemon go so well together. 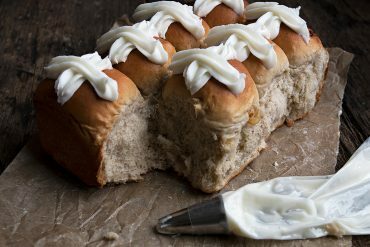 These are absolutely gorgeous rolls, I love anything with Meyer lemon! Thanks so much, Laura. I’m envious of your ability to have them growing right in your yard! These sound perfect! Lovely for breakfast or a snack! Hi Vicki and good question! Instant yeast is not the same as rapid rise. Instant yeast is essentially active dry yeast, but it has a thinner coating and doesn’t need to be proofed in liquid to activate. It’s the best thing since sliced bread :) I use Saf Instant Yeast, 1 Pound Pouch (I buy the big package and store it in my freezer). 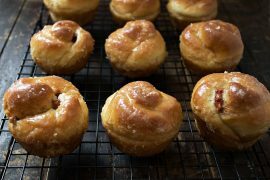 All that said, because this recipe uses a standard double-rise process, you can easily use active dry yeast instead. You’ll just need to let the milk cool a bit more (down to 100-110°) and proof the yeast in it once it is cool enough. (Instant yeast can also take higher liquid temps). Gorgeous Rolls! I must say I love Meyer Lemons as well. These are all types of perfection! Love them – and the photos. GOrgeous! These look amazing. Looking forward to trying them soon…maybe this weekend! Thanks Carrie and I hope you get a chance to try them. 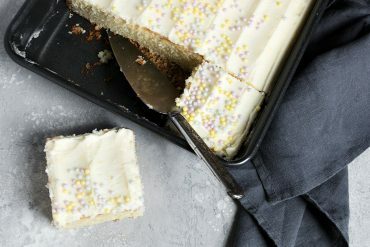 If you are a lemon lover, you won’t be disappointed! Love your blog name, btw and enjoyed checking out your blog!